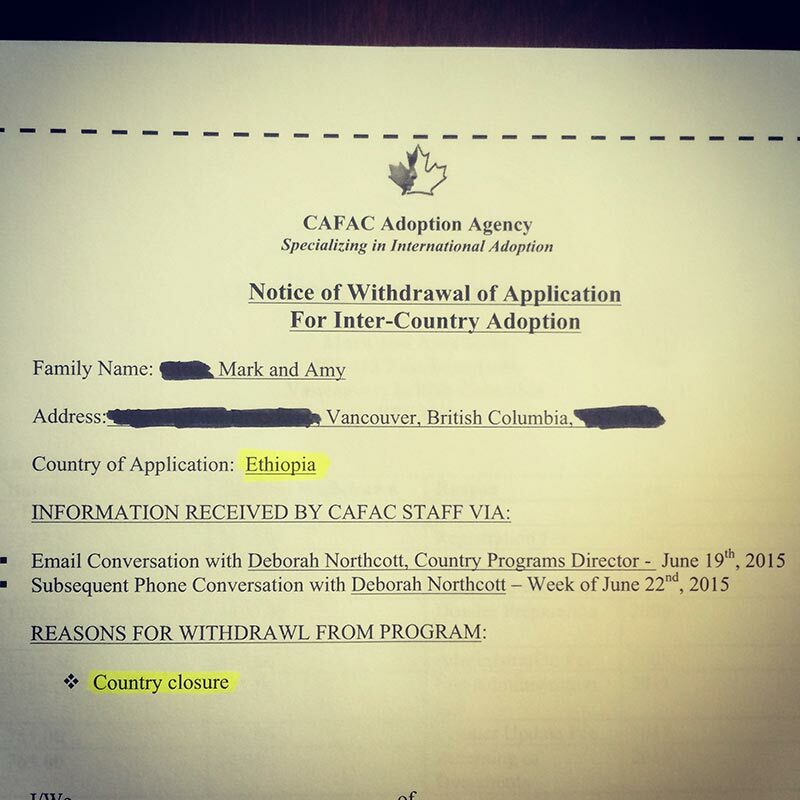 Our adoption agency has closed its Ethiopia program. 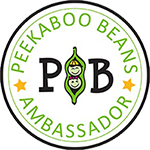 The agency we’ve been working with since 2008. The agency that was going to give us a reason to plan a trip to Ethiopia. The agency that was going to make us a family of five. 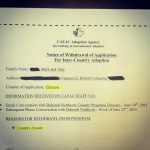 Our agency no longer has an Ethiopian adoption program. And that means we can no longer adopt from Ethiopia. The agency can no longer continue with the program due to the Ethiopia’s inability to facilitate adoptions on their end. Things ground to a halt about eight months ago, and they never really started moving again. And our agency (or I guess I should say, our former agency) doesn’t see the country starting up again anytime soon. And rather than leading families on, costing them thousands of dollars and most likely a lot of heartache and unfulfilled dreams, they’ve closed their doors. And they’ve released the families from their contracts. We are one of those families. We didn’t tell many people, but we reactivated our file in January of 2014 (everything was put on hold when Lucy and Sam were born). We re-did all of our paperwork: criminal checks, medical checks, blood work, financial statements and reference letters. We spent months meeting with a social worker to re-do our homestudy. Everything was notarized, translated, and stamped by the Ethiopian Embassy for a second time. And for a second time, our dossier was sent to Ethiopia. We were #3 on our agency’s list for a referral. And now… It won’t happen. I think it’s hard to digest the news. For the past 7 years we’ve been thinking about Ethiopia. We’ve driven to Seattle to see exhibits on Ethiopia, we’ve met owners of a local Ethiopian restaurant, we’ve bought Ethiopian art, we’ve even sponsored a child in Ethiopia with the thought that we would one day be going there and we’d have the chance to meet him. And that makes me more than a little sad. As a young woman who is comitted to adopting a child, what advise would you provide someone very new to this process? Start now! Meet with your local agency to find out the process (Sunrise in North Van is great if you’re in the lower mainland). The process is long and tedious, especially for international adoption, and can take years. The sooner you can learn about the process, the better.